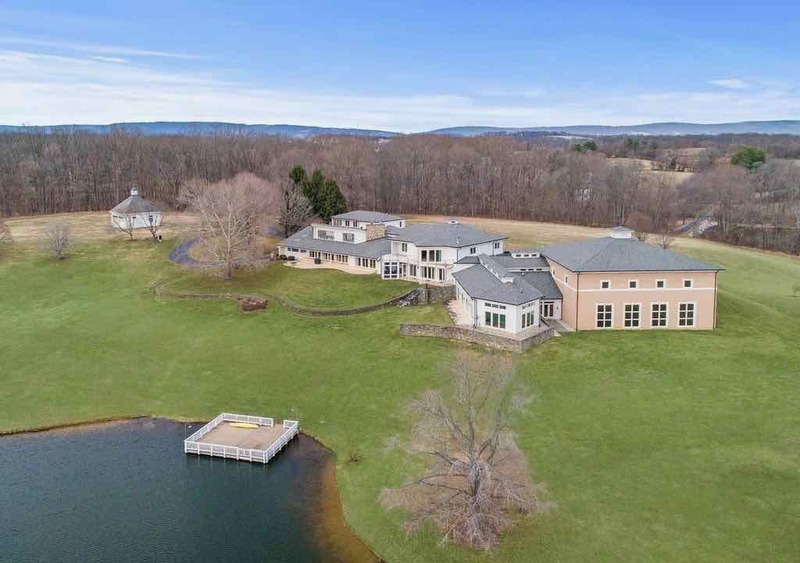 Martin Lawrence is Selling his 116 acre Ranch located in Purcellville, Virginia. The home was renovated in 2004, and includes 2 beautiful lakes with a dock. The estate has 5 bedrooms, 10 bathrooms and is 22,000 square foot. Also included in this dream home is an indoor pool and hot tub, bowling alley, home theater, and basketball court. This home is listed with Middleburg Realty. Photos come courtesy of Redfin. The home is contemporary with an open floor plan. The foyer is bright and spacious with hardwood floors throughout. The living room area of the home is huge and can be used for various activities. The kitchen is equipped with sky lights and high ceilings. The family room has doors leading to the outside and space big enough to entertain 20 – 30 of Martin’s closet family and friends. The living room also includes a built in bar. The home gym is perfect for “Big Mamma” to get in her workouts! Locker room off the gym..
An entertainer’s dream, a home bowling alley. And a beautiful indoor pool and spa. With sitting area that includes a bar..
Master bathroom with huge sinking tub..
Master closet with center island..
A dock for fishing and boating..
And 116 amazing acres in picturesque Virginia. All in all a beautiful piece of property. Follow along on Pintrest HERE, and Twitter HERE and feel free to pin and tweet your favorite pics from Happy Haute Home. Yes it is beautiful! Thanks for stopping by!